"After the last three years were very poor resultswise, I've decided to quit professional cycling." After Jens Voigt, Danilo Hondo (both Trek) and Julian Kern(AG2R), Dominic Klemme (IAM) will be the fourth German rider to announce his retirement. "After the last three years were very poor resultswise, I've decided to quit professional cycling," he tells radsport-news.com. The 28-year-old also has concrete plans. During the coming year, Klemme wants to finish high school. However, he will continue in cycling s an amateur. "Futhermore, I want to pursue my passion, mountain biking," he says. His career started in 2006 at Team Heinz von Heiden before he spent two years with the Continental Team 3C Gruppe-Lamonta. Here Klemme recommended himself for a contract with the WorldTour Team Saxo Bank by winning no less than 6 UCI races. "With this team, I felt most comfortable. Bjarne Riis was for me the best team manager I had inmy career," says Klemme who in hindsight admits to have made "the biggest mistake" when he left the Danish team in late 2010 to join the newly founded Leopard team. At Saxo Bank, Klemme achieved some personal success despite his job as a domestique. "For me personally, 14th at the 2010 Paris-Roubaix 2010 was the best result," he says. In his subsequent teams Leopard, Giant-Shimano and IAM, Klemme was mostly given a domestique role. He rarely got the chance to ride for himself. Hence, the former professional rider now has a piece of advice for the young riders. "Do not be forced into the domestique role. Your time is limited. Do your job, but don't forget yourself." 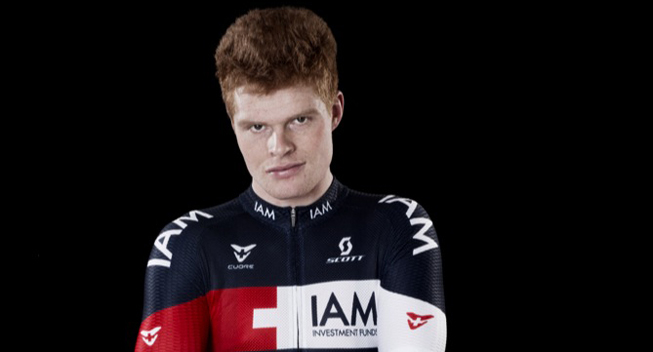 Even though he was unable to reinvigorate his career in his two years at IAM, Klemme has good memories of his time with the Swiss pro continental team - especially because he met a remarkable teammates. "Heinrich Haussler was the most impressive captain for me. I think there is hardly anyone who is so hard on himself, gives so much for his teammates and makes so clear statements. Even though he may not have the greatest palmares of my ex-captains, he has impressed me the most," he says. But the classics specialist also learned the tragic aspects of cycling as he two of his teammates - Wouter Weylandt and Kristof Goddaert - both died. "I will never forget those two," says Klemme who nonetheless looks back at "six very beautiful professional years." Klemme wants to thank his girlfriend Anna and his family. "They have given me great support," the the silver medallist at the 2009 German Championships says.